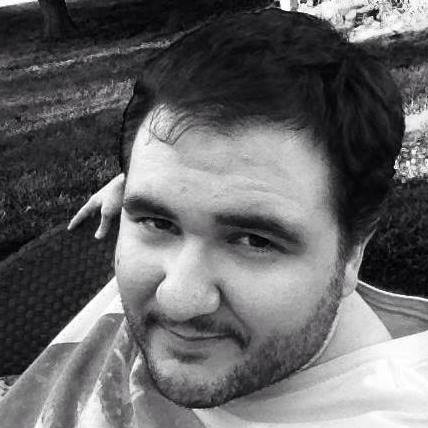 I have a degree in Paranormal Studies, and you can too! An academic degree is nothing to scoff at. Parapsychologists, such as Loyd Auerbach and Dean Radin, worked for years to earn their Masters and PhD, in parapsychology and psychology, respectively. Their work has contributed in significant ways to their field of research. Cryptozoologists, for instance Karl Shuker and Loren Coleman, are also leading names in their study of unknown animals. They have also put in ample time to pursue degrees in zoology and anthropology. The difference between my esteemed colleagues and I is that they put in years of classroom and field research, and I took about 5 seconds to click around on a website. Move over, Jason Hawes…there’s a new D-list para-celebrity in town! 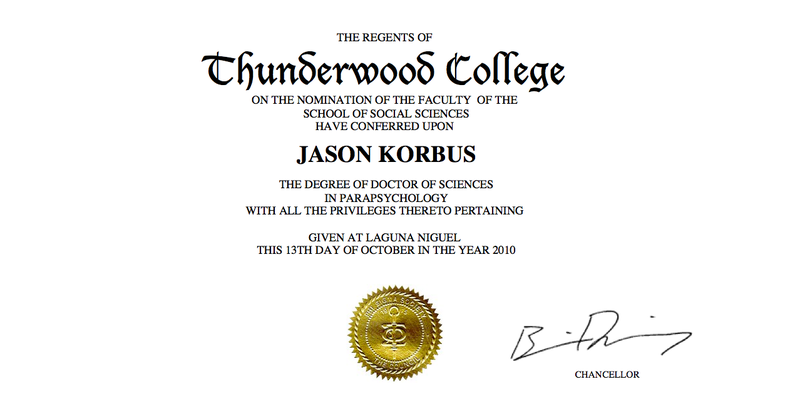 Yes, thanks to the honorable folks at Thunderwood College, including Chancellor Brian Dunning, I am now a Very Important Person in the paranormal field. And you can be too! Simply surf on over to Thunderwood College, take a few seconds to click around, and obtain your degree in the field of your choice. Wait, Jason. Is it just that easy? YES! It’s just that easy. So, surf on over to Thunderwood and get yourself an education. Or, at least a pdf file that you can print out to make it look like you have one! You can then go forth and write books, lecture, and yes, even APPEAR ON PARANORMAL INTERNET RADIO PROGRAMS!!! I look forward to working with you after you join my ranks in the academic world. Use the comments section below to inform me of the degree you receive, then go forth and make something of yourself in this wonderful world of the paranormal. *Yes, this is a joke. I already know that I am an idiot. Just having a little fun. 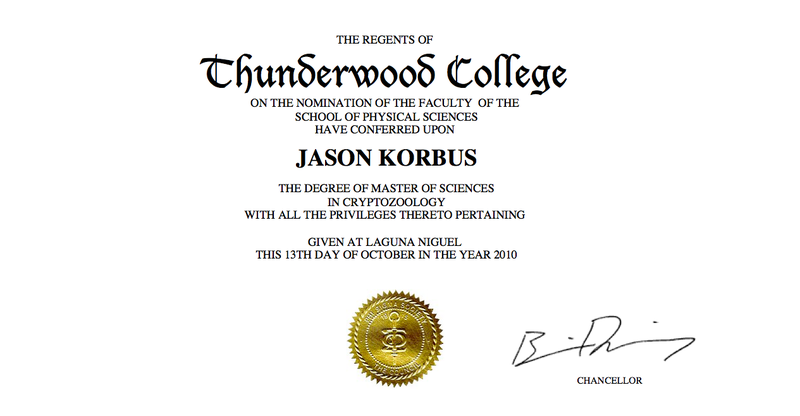 I now have like, 3 Doctorates and 6 Master's degrees…and a few more Bachelor's. This is sweet. Excellent. It is a pleasure to be your colleague.